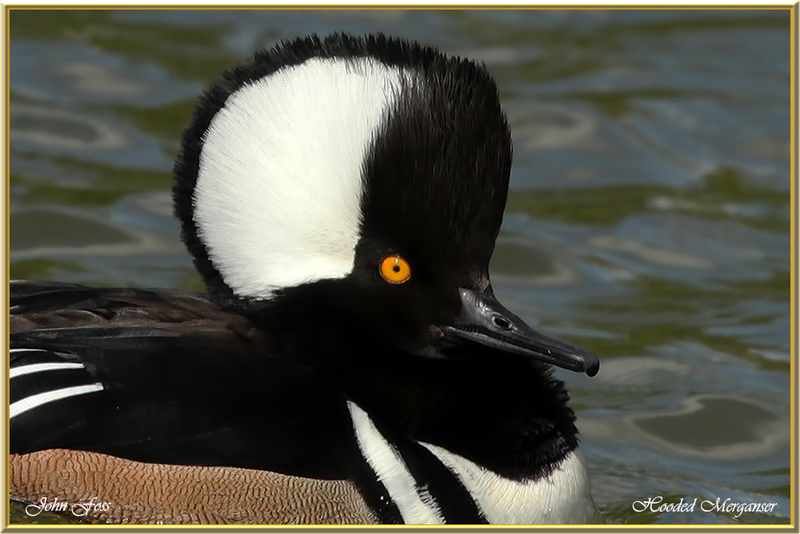 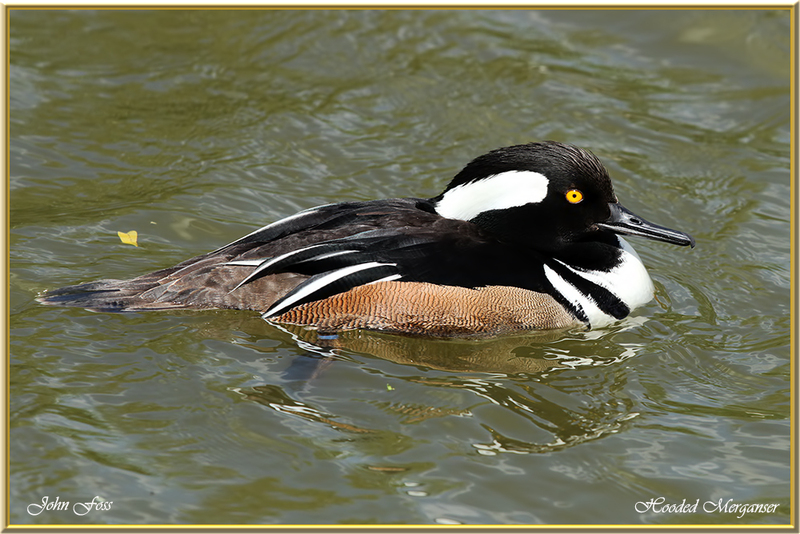 Hooded Merganser - a bird of very striking appearance. 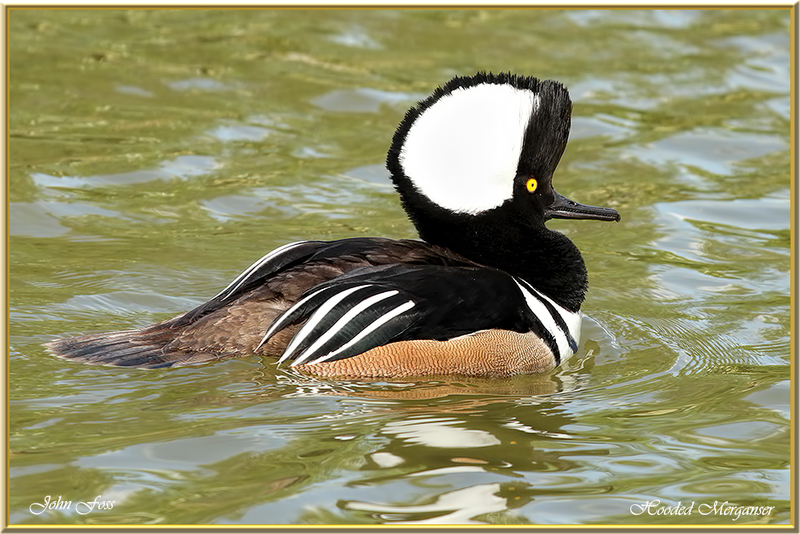 Especially in the male. 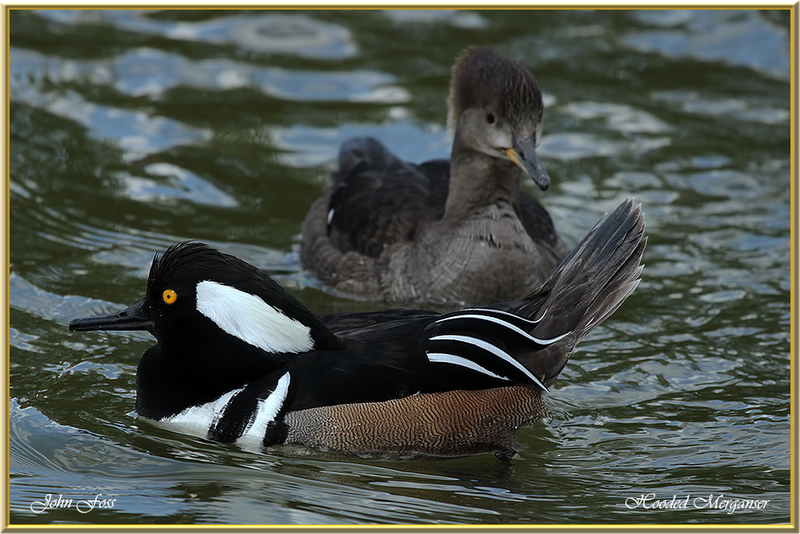 Both male and female show a crest but the male has the jet black crest with large white patches. 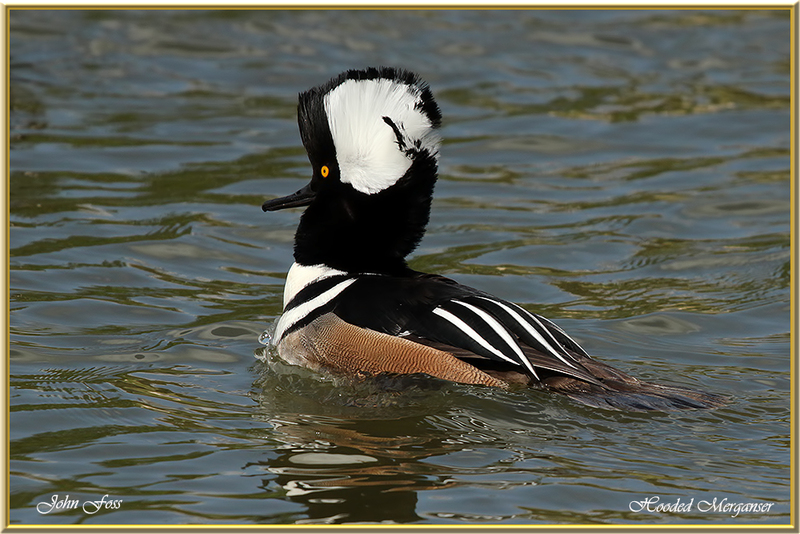 The crest is raised during courtship. 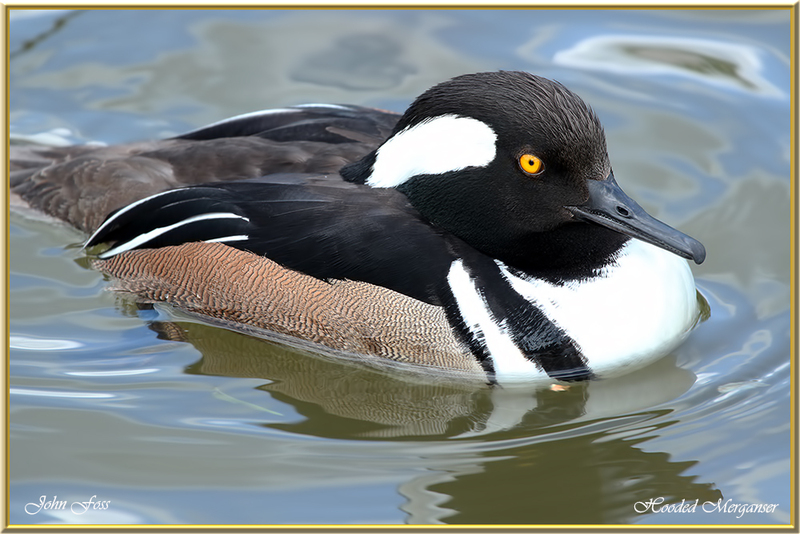 A few of these birds are seen in the wild in Europe from time to time, but being a native of North America, these are considered to be escapes. 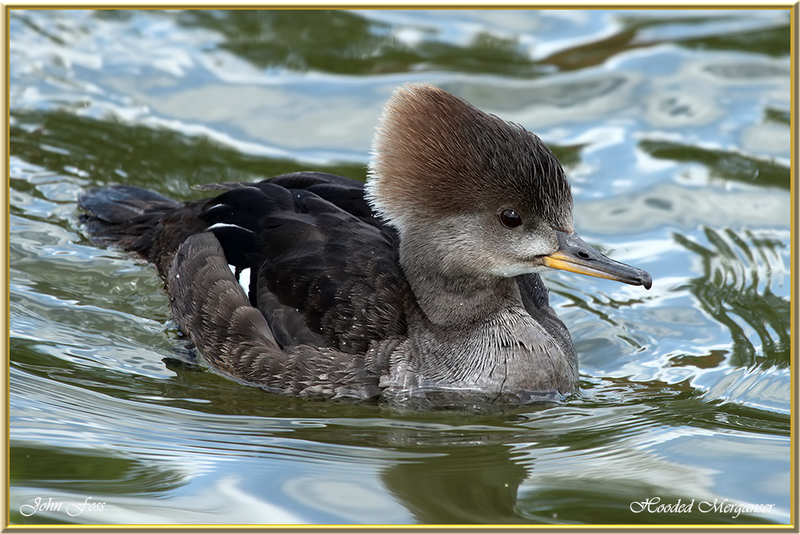 These were photographed at a reserve in Staffordshire UK.